By discussing these things with your photographer in advance, you’ll be assured that your wedding pictures will not only be beautiful, but you’ll have fun in the process. Of course, there are more than six things to discuss with your photographer, but these are a great start in getting the most of your wedding photography experience. Some of the best hotels and venues for a bride to get ready in on the wedding day in the greater Greenville area are listed here. We’ve taken a lot of things into account such as the size of the space, privacy, and convenience to either a nearby wedding venue or place that offers good locations to photos. 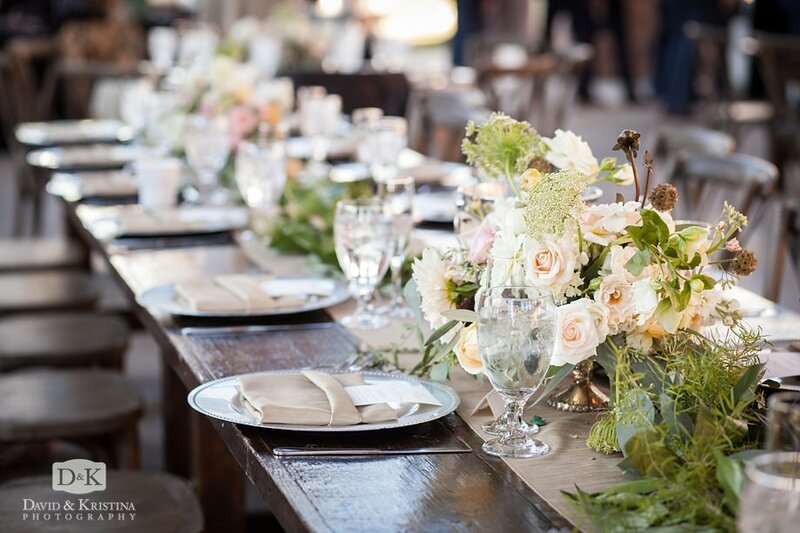 This is by no means a complete list as Greenville has an abundance of amazing wedding venues, simply too many to list here! When it comes to your wedding pictures, you want the photo series to tell the story of the entire day…even the parts that few people see. 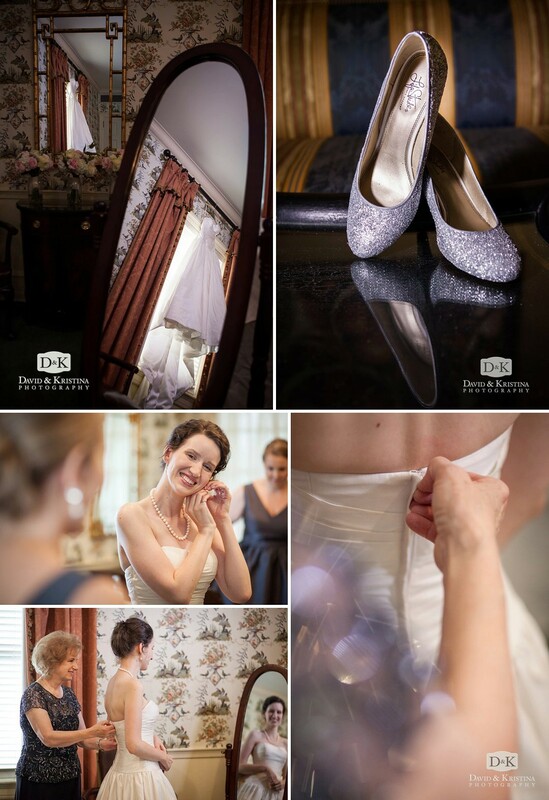 The “getting ready” photos are significant not only because they help tell your wedding day story in the album, but also because those special moments of preparation and anticipation happen in a place and time that your future spouse doesn’t get to see. I remember seeing the photos of my wife’s getting-ready room and being intrigued about how much all the girls did in preparation. Meanwhile, my groomsmen and I were finishing up a round of golf and slipped into a tux after a quick shower…way more simple than the women! Of course we always encourage the men to get some photo coverage of their pre-wedding events, but these photos often tend to be more bride-centered. Here are a handful of places in the Greenville, SC area that we believe have some great advantages for a bride getting ready on her wedding day. We’ll cover some groom/groomsmen ideas in a future post. It isn’t overly fancy, but has a nice modern feel and large rooms giving you and your bridesmaids space to move around without feeling too crowded. 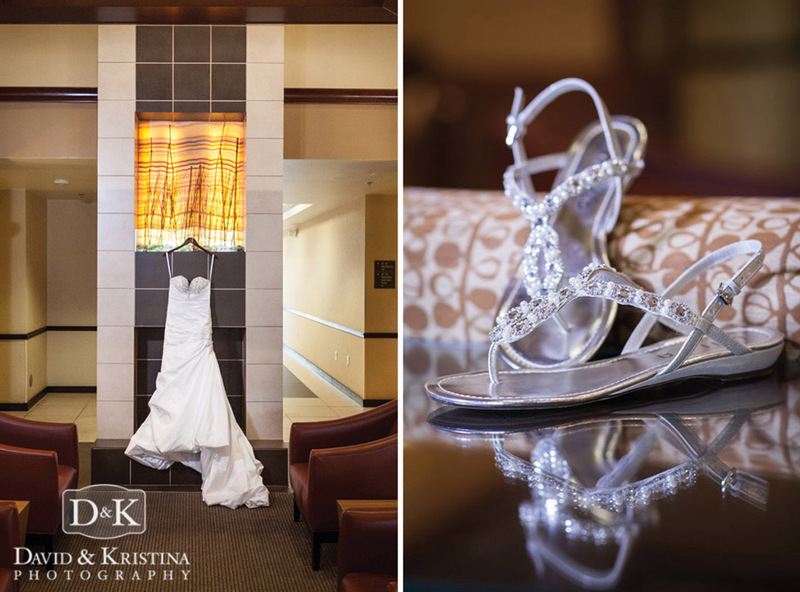 The modern décor in the lobby offers some nice spots for your photographer to get detail shots of your dress, shoes and jewelry. Parking is plentiful. Recently remodeled, the lobby area offers lots of window light which is great for photos. Depending on the size room you request, it can also be spacious. It’s very close to the Hyatt Place, so if the bride is getting ready there, the Hilton may be a convenient spot for the guys. One of the biggest advantages of this hotel is that it’s positioned right there on the Riverwalk by the Reedy river and offers easy access to some great outdoor spots for group photos. Be sure to upgrade to a suite so you’ll have more room! The Westin Poinsett Hotel is a piece of Greenville history! This beautiful old hotel features recently remodeled guest rooms and a unique lobby and veranda area. The common areas of the hotel feature some modern furnishings while keeping much of the historic architectural interest from the 1920s. The hotel interiors are great for photographs! Be sure to talk to your photographer about getting a permit to do photos in the property. A small fee is required if you aren’t renting one of the ballrooms for your event. If you’re still looking for a great venue for your wedding or reception, The Westin Poinsett Hotel is a top choice for weddings! This private club is the epitome of classy. From the staff to the interior design, The Poinsett Club is classic, elegant, and professional. All of the couples we’ve photographed at the Poinsett Club have given incredibly positive feedback on their experiences. The food is FANTASTIC too! 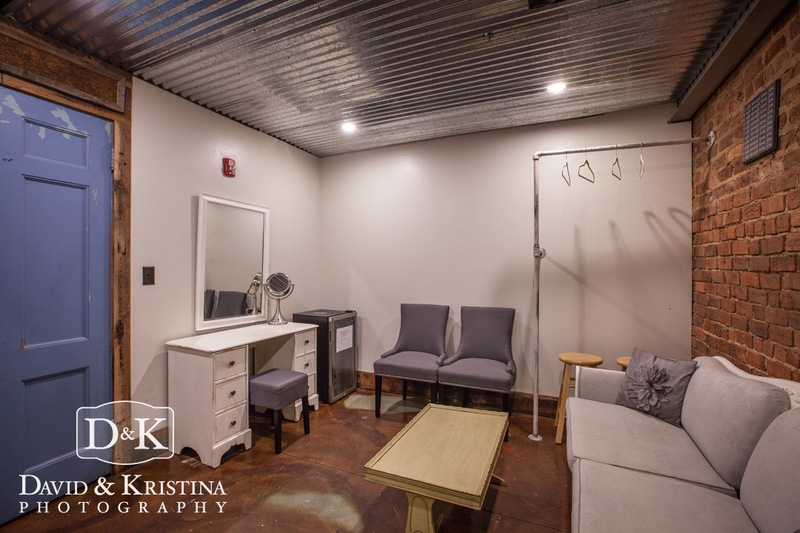 The bride’s room at OCW is very small, but it also offers some privacy for the bride and a few attendants. The women’s restrooms are adjacent to the bride’s room, but the room itself can be closed off. What this space lacks in square footage, it makes up for in convenience. A small refrigerator, vanity, and large garment hanger are added perks. Many venues don’t even offer a private room. Another advantage is that you can do pre-ceremony photos on the property without having to drive anywhere, and can slip back into the private room before guests start arriving. The Ryan Nicholas Inn is one of the best wedding venues in Simpsonville. Because it’s designed to be a bed and breakfast in addition to a wedding venue, the large, fully equipped guest rooms are fit for a queen. The comfort and elegance offered by its professionally designed interior make it, by far, one of the best wedding venues from a “getting ready” standpoint in the Greenville area. You and your attendants can stay the weekend and enjoy this once-in-a-lifetime experience together. They have full service catering on site, and the food is top notch. Truly a full service, turnkey venue, the exterior grounds offer incredible photo opportunities. 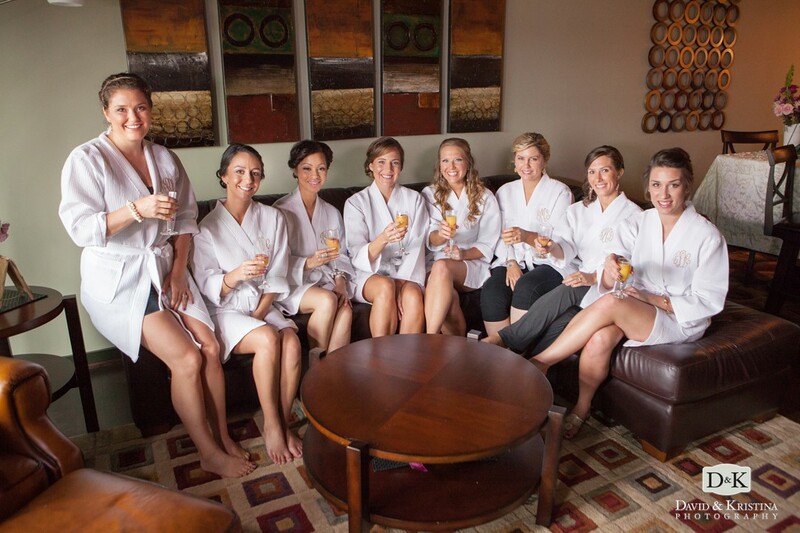 Zen offers a large convenient area for your wedding party to get ready, apply makeup, hang dresses, and stash their bags. This upstairs loft features functional modern décor and even has a dining table and chairs, a perfect place to enjoy finger sandwiches, fruit, and champagne. It couldn’t be more convenient, especially for a bride having both her wedding ceremony and reception at the venue. 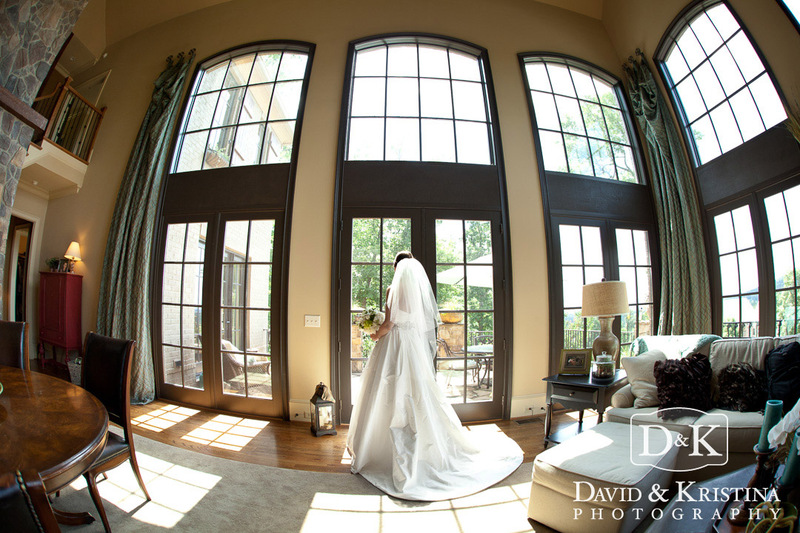 The large windows and clean, modern design make Zen a top choice for pre-wedding photos as well. Truly an all-inclusive wedding venue, Twigs even has a private building adjacent to the covered garden area where you can get ready, have a glass of champagne, and enjoy a few moments of quite before you walk down the aisle. Plentiful parking is just a few steps from the front door of the bridal suite. 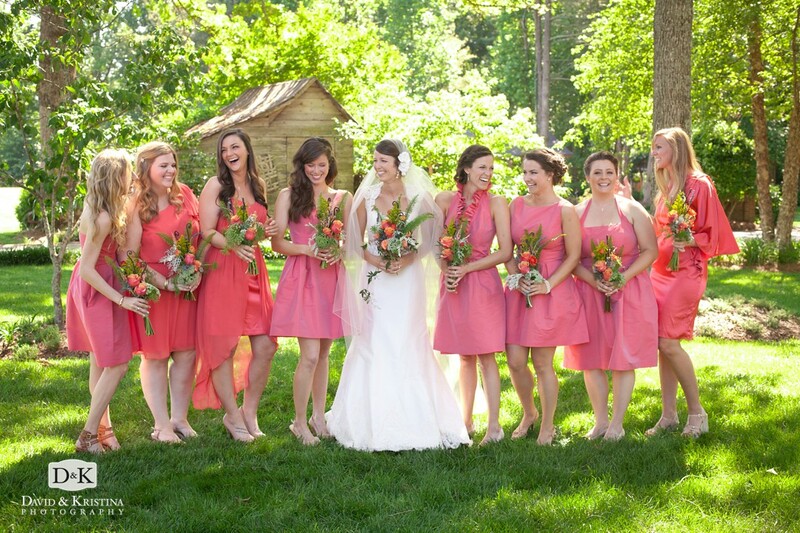 You won’t have to go far to get some great outdoor photos with your family and bridesmaids. 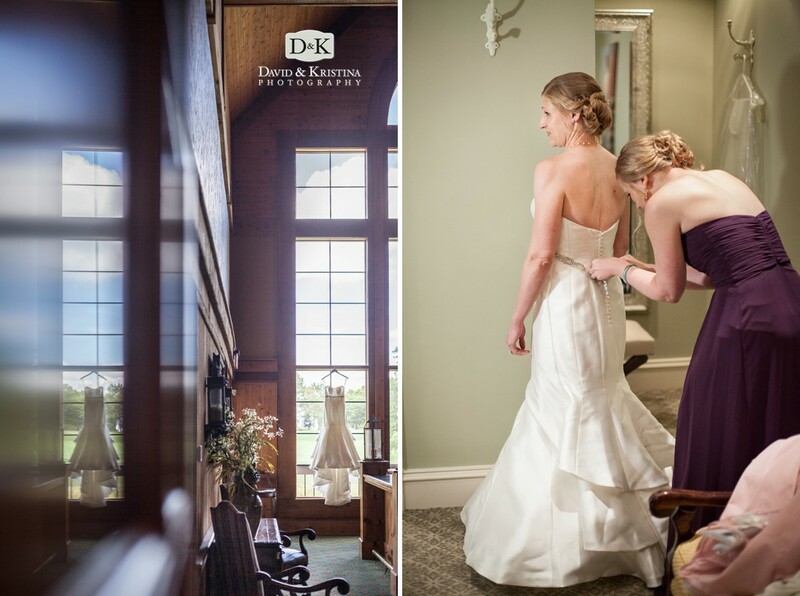 With a private back door entrance to the lower part of Daniel Chapel, you’ll find that it’s easy to get in and out of the bridal room without being seen by guests who show up early. 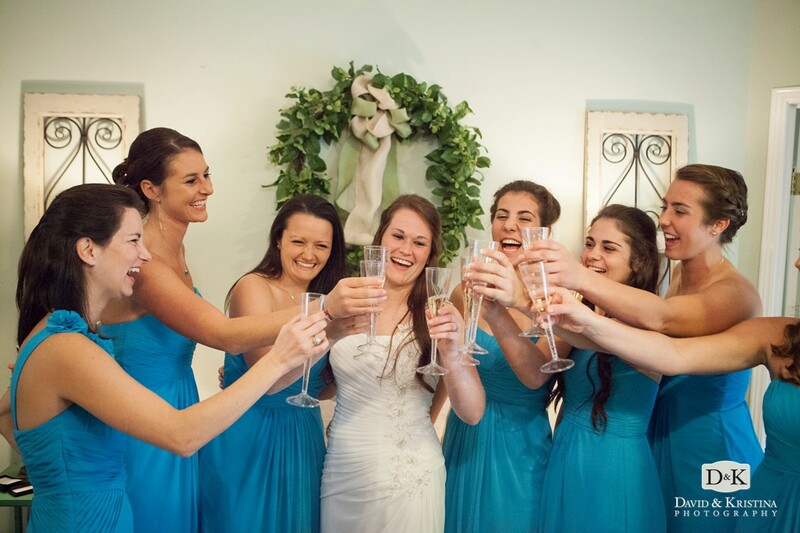 There are multiple rooms in this lower level to accommodate a large bridal party. There’s even a room for the men. The lighting may not be great for indoor photos thanks to the fluorescent light fixtures, but the picturesque campus just outside is second to none for group photos and portraits. Through the gate of a charming white picket fence, a brick walkway leads to this adorable cottage featuring a kitchen, bathroom, bedroom, and living room area. Plenty of mirrors and a bright interior make it easy to apply makeup, jewelry, and other accessories. A small screened porch area in the back adds to the charm. The bride’s cottage is positioned next door to the barn reception area. This restored mill features rustic hardwood floors with plenty of character as well as tons of light from the large windows on two sides of the building. 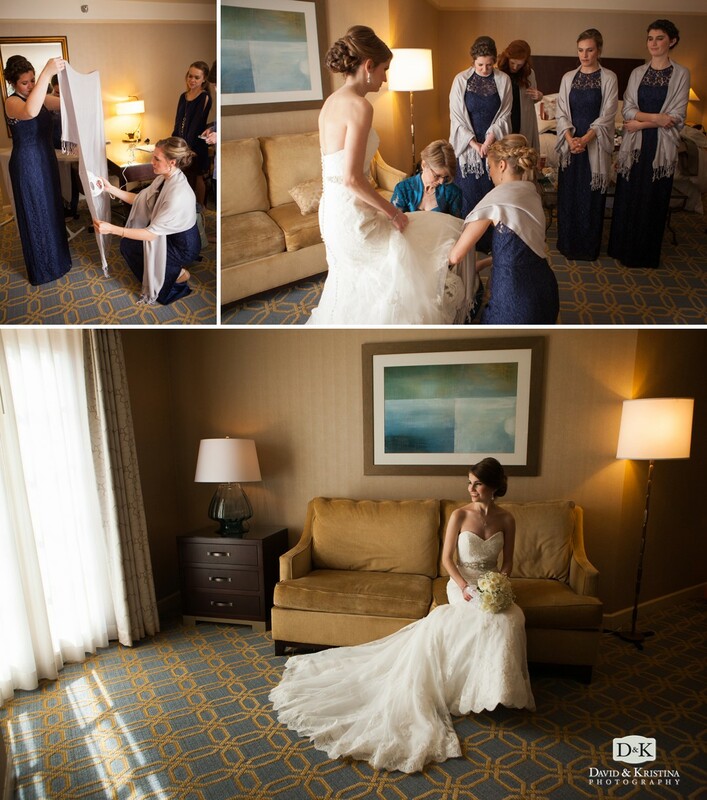 A small bride’s room is offers some privacy and plenty of space to put on a dress and enjoy some quiet before walking down the aisle. It may be small, but the convenience of being that close to your ceremony and reception space is a huge plus! Rich in charm and history, this boutique hotel and event venue in Anderson features large guest rooms that are as comfortable as they are elegant. No corners were cut on the sophisticated design and luxurious furnishings. Select rooms even have a balcony overlooking the courtyard area behind the Carriage House event space. You’re in for a treat from the getting ready through the last dance! Perhaps one of the most sought after destination wedding locations for its vistas and peaceful elegance, The Cliffs Chapel is only a short drive from the Glassy Mountain Clubhouse. 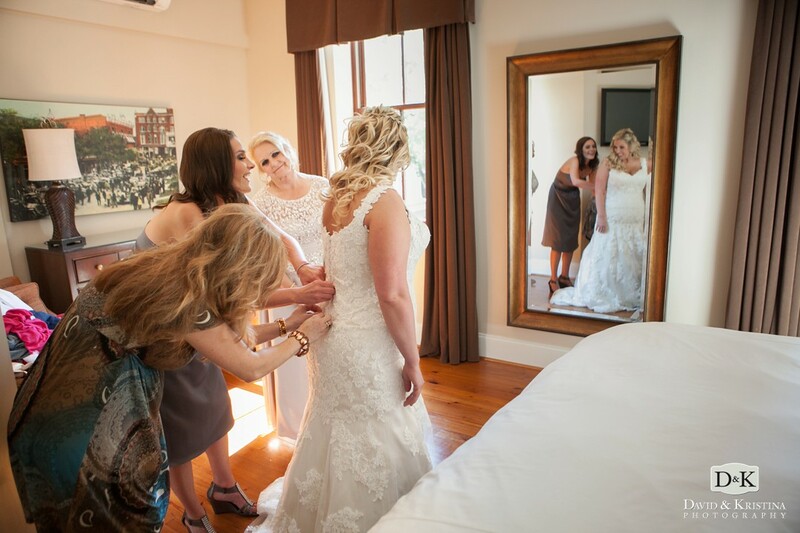 It may not be designed for a large bridal party to do hair and makeup and all the other pre-wedding preparations, but it’s more than sufficient space for a bride to put on her dress and do some last minute touchups. This is a huge benefit since it’ll keep the bride from having to spend a lot of time in a car with her dress on while traveling up the mountain to the Chapel. Whether you rent a private residence for the weekend or know someone with a large home who is generous enough to let a bride and all her attendants use it and stash enough clothing and accessories to fill a boutique clothing shop, this could be the perfect option, especially for large bridal parties. Most brides don’t want to use their own homes simply because of all the wedding prep work that has been done there in the preceding weeks. If you’re renting, try to find a house with plenty of windows. The extra light is great for photos! Check out the windows in this house! As you’re planning your wedding and thinking about doing an engagement session with your photographer, be sure to get our guide, “Preparing for Your Engagement Session.” It has some helpful tips and info!